The intention was for the team to be unchanged from the previous week’s victory in Dunfermline, but Frederick Frans pulled up in the pre-match warm up and was replaced in the starting eleven by William Edjenguele. The game kicked off after a minute’s silence following the previous week’s tragic helicopter crash in Leicester. Confidence was high in the United ranks after making such a good start to Robbie Neilson’s reign, and the home team made the best possible start to this game by taking the lead in the third minute. Fraser Aird floated in a cross from the right hand side and with Queens goalkeeper Alan Martin rooted to his line, Pavol Safranko stole in to head the ball over him for his sixth goal of the season. United went on to control the bulk of possession in the first half, albeit without being able to increase their lead. In the fifth minute, Fraser Aird did try his luck from distance, but Alan Martin was able to deal with the shot easily. Four minutes after that, United had what they thought was a reasonable claim for a penalty as Paul McMullan looked to be brought down in the box by David Norman, but the referee was uninterested in any appeals and waved play on. A flurry of chances came and went from the 15-minute mark onwards as United sought to press home their advantage. It all began with a run from Callum Booth and his cross was headed behind by Michael Doyle. From the resultant corner, the ball was just too high for Pavol Safranko and the Queens defence were able to clear. Safranko had an even better chance a minute later when he met a superb Stewart Murdoch cross from the right, but the Slovakian could only head the ball a couple of yards over the bar. Remarkably, Safranko almost had another chance a minute later, this time just missing a cross from the left from Callum Booth. 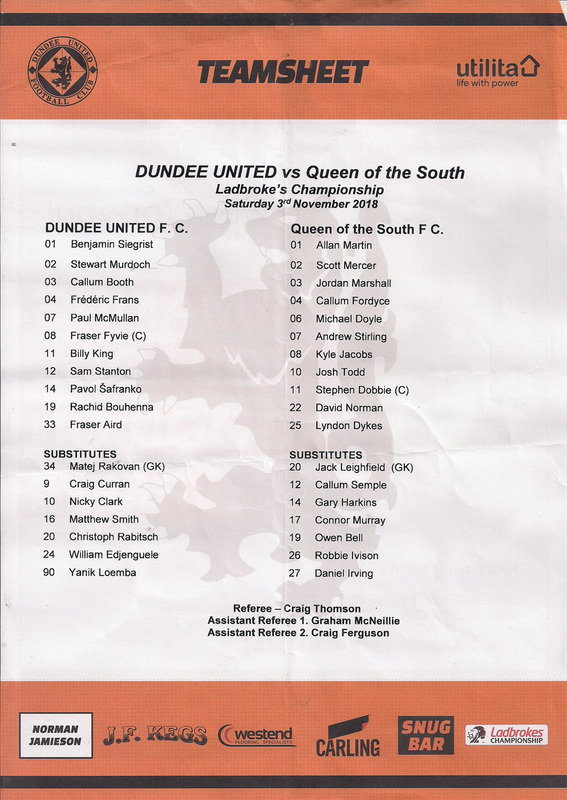 In the 25th minute of the game, Paul McMullan won a free kick around 20 yards from goal after being fouled by Lyndon Dykes. However, Fraser Fyvie could only hit the set piece into the wall and again Queens were able to clear the danger. A few minutes later the United captain had another long range effort on goal, but this time the ball sailed well over the bar. It was 33 minutes into the game before the away side had their first chance of the game, although Ben Siegrist was able to smother the ball at the feet of Kyle Jacobs before the Queens player could get a shot away. The referee was forced to dish out a couple of bookings in the last ten minutes of the half as things got a bit more aggressive. Firstly, Scott Mercer was booked for a bad tackle on Fraser Aird, wiping out the Canadian as he broke down the wing. A couple of minutes later, Pavol Safranko was booked for catching Michael Doyle with an elbow as they both jumped for a header. Although it looked accidental, it was certainly dangerous play and the United striker saw himself deservedly yellow carded. United had a couple of further chances before half time. Three minutes from the break, Billy King found the ball at his feet at the edge of the penalty area. He twisted and turned to try to engineer some space for a shot, but he could not do so as once he did get his shot away it was blocked by the away defence. Fraser Fyvie had his third long range effort of the half in first half stoppage time, hitting an effort from 25 yards which was on target, although it was straight at Alan Martin and he was able to save comfortably. Not for the first time this season, United should have been further ahead at half time. 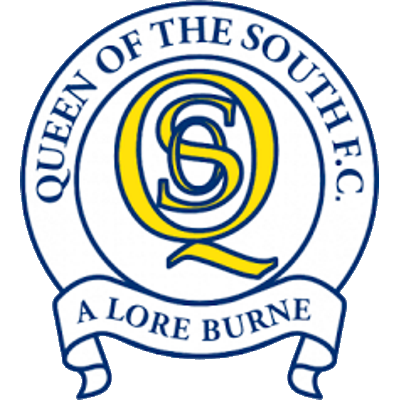 There was always going to be a reaction from the Queen of the South players, and they had their first real period of pressure in the early stages of the second half. They had a good chance in the first minute of the half after Lyndon Dykes was played through on goal by a chipped pass from Stephen Dobbie. Ben Siegrist was able to race from his line to the very edge of the penalty area to intercept the ball, and was able to gather eventually despite dropping the ball onto his own foot. Billy King then broke forward and smashed an effort over the bar, before the ball went up the other end and Dobbie smashed the ball over the bar from out wide. United were able to break forward themselves after that chance, but the break was ended by a crude sliding challenge on Billy King by Michael Doyle, for which the Queens player received a deserved yellow card. From the resultant free kick, the ball dropped to Stewart Murdoch in the box but the right back could not sort his feet out and hit the ball wide. Fraser Aird was then replaced by Nicky Clark with twelve minutes gone in the second half. Clark almost had an immediate impact a couple of minutes after being introduced, turning and hitting a shot from inside the area which was blocked by the away defence, before Pavol Safranko saw a good run through on goal ended by an offside flag. Midway through the half, Queen of the South squandered a great chance to level the game. Lyndon Dykes saw off a rather half-hearted challenge from Rachid Bouhenna and found himself with just Ben Siegrist to beat, but the United goalkeeper was able to block his shot from 12 yards out and divert the ball wide and into the side netting. That scare seemed to focus minds in the home players, and once again they got a grip of the game and became the more dominant team. With eighteen minutes left to go Pavol Safranko headed a Paul McMullan cross a yard wide of the post as United chased a second goal. 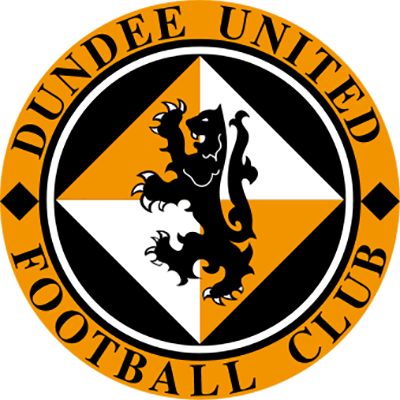 Dundee United did get a deserved second goal in bizarre circumstances with ten minutes to go. Michael Doyle attempted to play the ball back to his goalkeeper Alan Martin, and although he was under pressure from Paul McMullan it should not have been a difficult pass. However, the Queens defender had apparently not noticed that Alan Martin had raced from his line, and so his attempted passback rolled past the stranded Martin to seal the victory for United. There were not many incidents in the final ten minutes, although United were forced into a defensive reshuffle with seven minutes left when Callum Booth hobbled off to be replaced by Adam Barton. The change saw Barton forced into an unfamiliar right back role, with previous incumbent Stewart Murdoch going over to left back. There were no late scares for United, and indeed they could have made it 3-0 with two minutes to go when Paul McMullan hit a good effort from the edge of the area which went just past the far post. 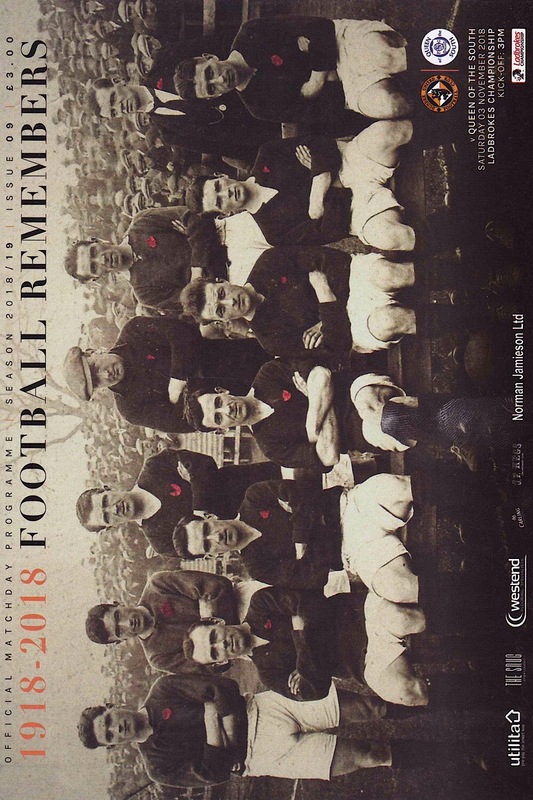 The game ended with a second consecutive 2-0 victory for United, and saw them consolidate third place in the league, four points behind next opponents Ross County and seven points behind league leaders Ayr United.